He is considered the best general of his generation by some historians and one of the best generals ever. Although a tough leader, he was respected by his troops. 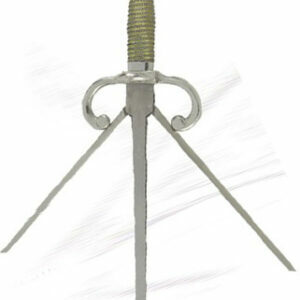 The Toledo Legends decorator swords were made in Toledo, Spain. 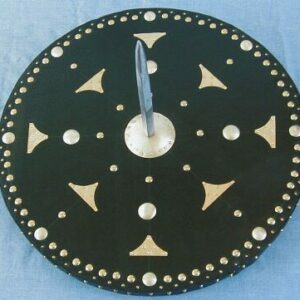 They are ideal for costume dress and wall decoration. 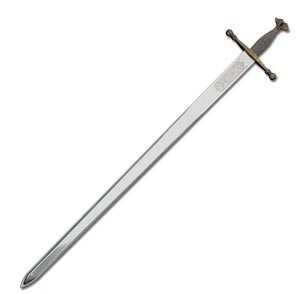 These swords have stamp-engraved blades and wire wrapped handles. The guards and pommels of Tizona, Alfonso, Duque d’Alba and Carlos are cast in intricate detail with a black oxide finish. The guards and pommels of Colada and Pizarro are fabricated steel with a natural finish. 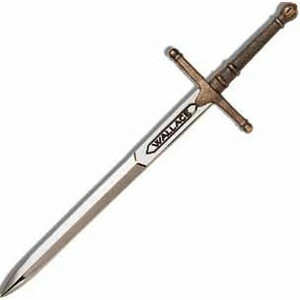 None of the swords come with a scabbard. Fernando Álvarez de Toledo y Pimentel, known as the Grand Duke of Alba in Spain and the Iron Duke in the Netherlands, was a Spanish noble, general, and diplomat. He was titled the 3rd Duke of Alba de Tormes, 4th Marquis of Coria, 3rd Count of Salvatierra de Tormes, 2nd Count of Piedrahita, 8th Lord of Valdecorneja, Grandee of Spain, and a Knight of the Order of the Golden Fleece. His motto in Latin was Deo patrum Nostrorum, which in English means “To the God of our fathers”. He is considered the best general of his generation by some historians and one of the best generals ever. Although a tough leader, he was respected by his troops. The speeches where he referred to “gentlemen soldiers” were liked by his troops. Alba especially distinguished himself in the conquest of Tunis (1535) during the Ottoman-Habsburg wars when Carlos I defeated Hayreddin Barbarossa and returned the Spanish Monarchy to predominance over the western Mediterranean Sea.